The era of the late Sixties usually brings to mind the West Coast, naked hippies cavorting in festival grounds, flower power, psychedelia and LSD. But there was a band that resolutely bucked the trend. They were the anti-‘anti-establishment’ and in contrast to sunny California, they resided within the urban decay of New York City’s Lower East Side, instead of festivals, city dwellers danced to their music at the New York Society for Clinical Psychiatry, and rather than hallucinogens, they celebrated heroin. And even though they were derided by the critics and sold very few albums during their lifespan, they later influenced nearly every indie rock band from Sonic Youth to The Strokes. The Velvet Underground was founded by two contrarians: Lou Reed, a middle class Jewish kid with a troubled upbringing and a BA in English who churned out pop fodder for Pickwick Records, and John Cale, a Welshman who had performed with La Monte Young’s Theatre of Eternal Music (an ensemble famous for holding a single note for several days and screaming at a plant until it died) and was over in New York City on a Leonard Bernstein scholarship to study classical viola. Under the moniker The Primitives, Reed had a small hit with a record he quickly penned for Pickwick who wanted to cash in on the dance craze sweeping America in the mid-Sixties. 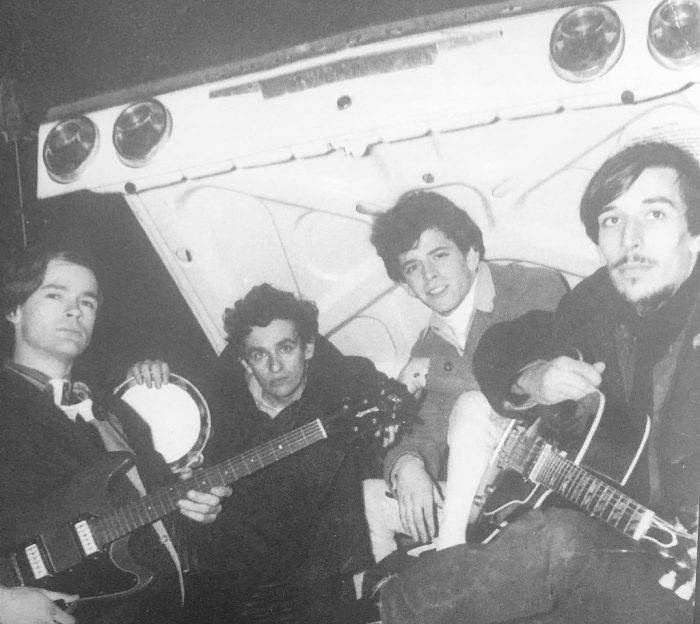 Asked to perform his single ‘The Ostrich’ on television, Reed had to quickly assemble a real band and brought in John Cale with whom he had had a chance meeting. The two bonded over music and also (in Reed’s words) ‘dope’, and started jamming and writing songs that would later appear on The Velvet Underground albums. 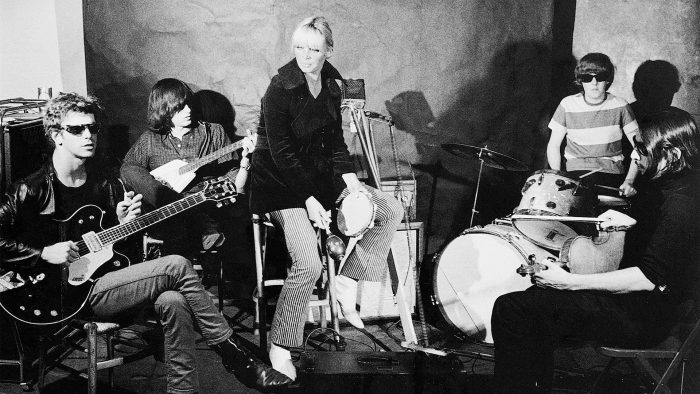 With former Syracuse University colleague and intellectual Sterling Morrison and the quiet younger sister of a friend Moe Tucker solidifying the line-up, the Velvet Underground secured a residency at Cafe Bizarre in 1965. They may have faded into obscurity if Andy Warhol hadn’t been in the audience one particular night. Warhol had been working on a multimedia idea for his Film Festival in which he wanted to project the films onto the actors onstage. His Factory denizens then thought it would be a great idea to add music and VU fit the bill. The Velvets became the nexus of Warhol’s Exploding Plastic Inevitable and around their performance revolved visual media such as films and a relentless light show which forced the band to wear sunglasses on stage, and in the process created even more of a mystique. Warhol also took on managerial duties for VU and after a host of rejections, he managed to secure them a record deal with MGM/Verve. He insisted that they feature the stunning German chanteuse who had wow-ed the uber-cool Factory family with her detached glamour, Nico. Warhol did help finance the album along with Norman Dolph, a Columbia Records sales exec who also acted as an engineer along with John Licata. This may partially explain the lack of clarity and overall fuzziness of many of the songs although the few that were recorded in LA have a cleaner sonic. It has later been said that Tom Wilson produced most of it and the feel and arrangement has been put down to John Cale who himself later produced albums for Patti Smith, The Modern Lovers and Squeeze. 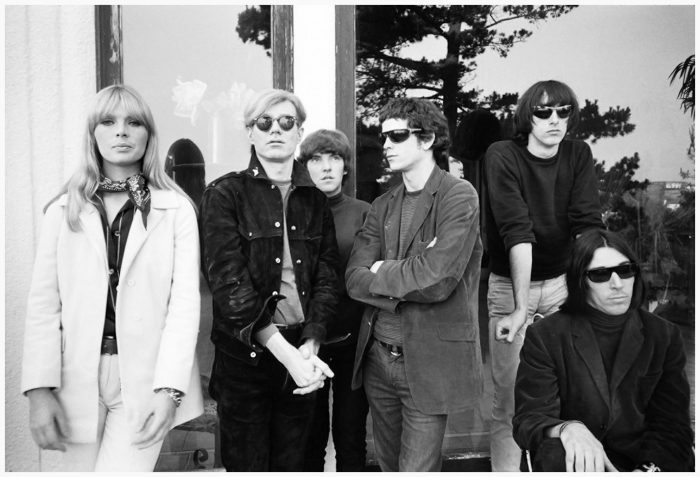 The resulting album, The Velvet Underground and Nico, is unlike anything that came before it. 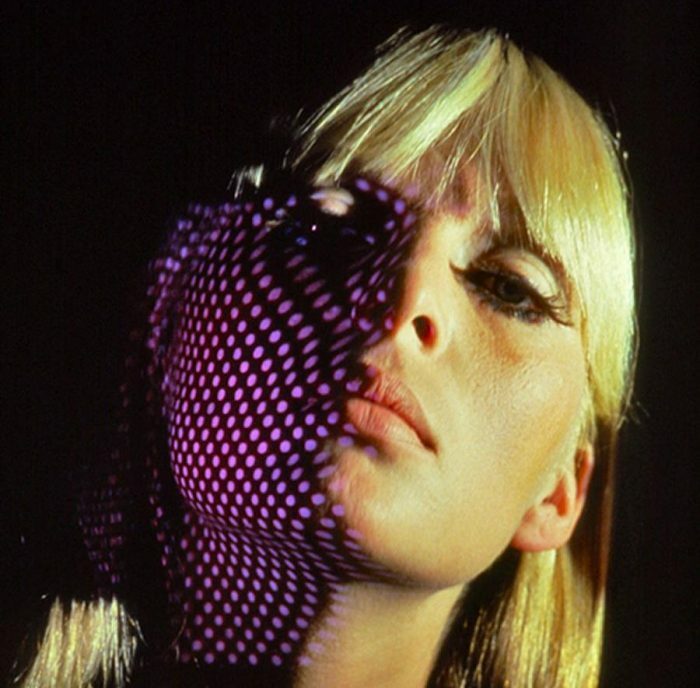 There is the stark, deadpan icy beauty of Nico’s vocals on beautifully cultivated pop-like songs “I’ll Be Your Mirror” and “Femme Fatale” and then married with the avant-garde on “All Tomorrow’s Parties”. The drones of La Monte Young underpin some of the album’s songs like ‘European Son’ while Mo Tucker and her minimalist drum kit deliver Bo Diddley and Babatunde Olatunji-inspired rhythms that underpin the entire record. And on many tracks like ‘I’m Waiting for the Man’ and ‘Run, Run, Run’ repetition is the order of the day. Aside from its content, the album was plagued by other issues such as expense of the album cover with its peeling banana and a legal claim of $500,000 made by Factory actor Eric Emerson whose image was projected in the photo on the album cover. The distribution was cancelled for two months until the legal problems were settled. And when it came back into the shops, it was up against the behemoth of ‘Sgt. Pepper’. Thank you. That was the caption with the original photo but have just removed it. Appreciate it!